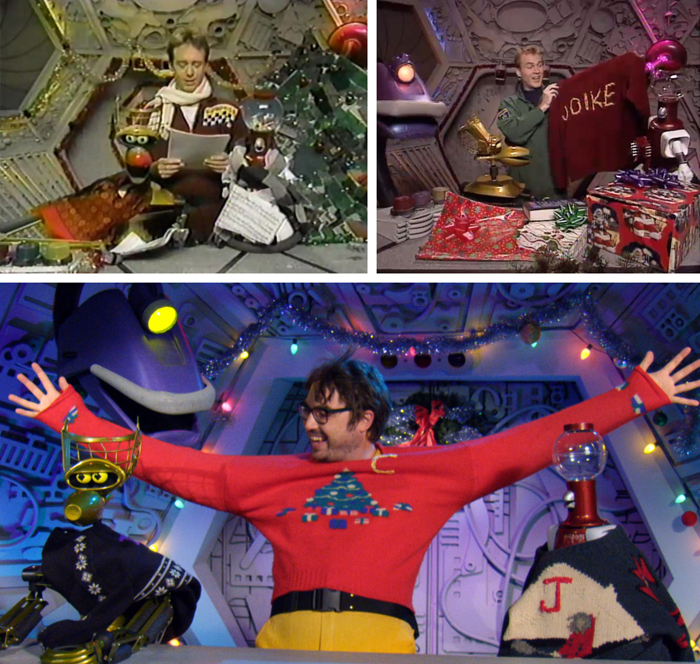 Christmas is right around the corner, which means many MSTies are firing up the three Christmas-themed episodes of Mystery Science Theater 3000. In case you don't have these on DVD, here's where you can stream each of them. The most recent addition to the MST3K holiday canon, this episode is on the Season 11 Blu-ray set but can also be streamed right now on Netflix. And if you're especially adventurous, you can check out the un-riffed film on Shout! Factory TV. The jolly old elf takes on the prince of darkness in this episode, which introduced us to the holiday JOIKE sweater. Watch it now on Shout! Factory TV. Not even nefarious aliens can defeat Santa in this film, featured in the very first Christmas MST3K episode. Sing along to "Have a Patrick Swayze Christmas" on Shout! Factory TV.